CARACAS (Reuters) - Venezuela's state-run oil company PDVSA is telling customers of its oil joint ventures to deposit sales proceeds at an account it recently opened at Russia's Gazprombank AO, according to sources and an internal document seen by Reuters on Saturday. PDVSA's move follows tough, new U.S. financial sanctions imposed on Jan. 28 and aimed at blocking leftist President Nicolas Maduro's access to the country's oil revenue. The United States and dozens of other nations have refused to recognize Maduro, characterizing his election last year to another six-year term as fraudulent. 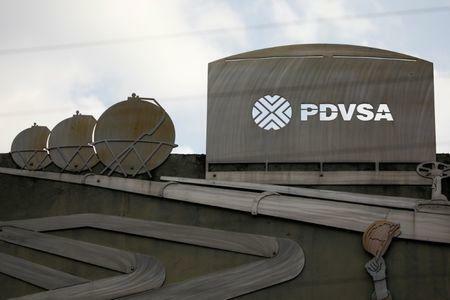 Since then, PDVSA has been pressing its foreign partners at joint ventures in its Orinoco Belt producing area to formally decide whether they will continue in the projects, according to two sources with knowledge of the talks. The joint ventures' partners include Norway's Equinor ASA, U.S.-based Chevron Corp and France's Total SA.